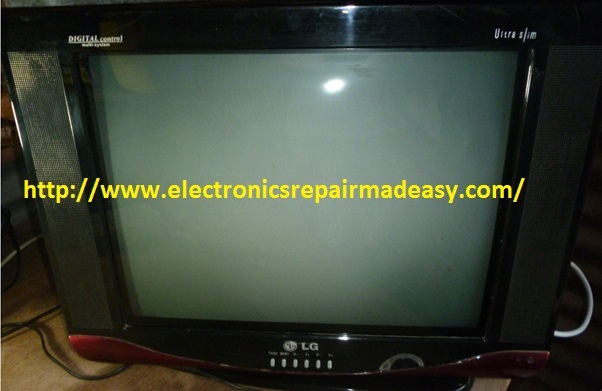 This television was from a customer I had repaired another television and was happy with my service and therefore when this other one developed a problem he requested me to fix it if it was possible. 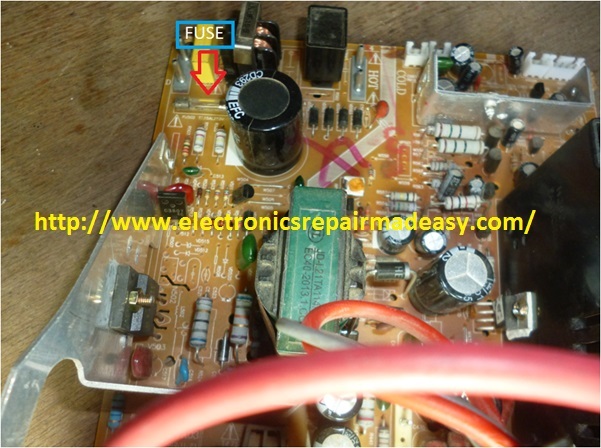 Most customers fear dead symptom equipment but from experience dead equipment are easily repairable with main cause of dead television/equipment is power related. Therefore I passed by his place and picked it so that I can do repair on my workbench.Upon reaching my workbench I applied the power even before opening and indeed the television was dead and no sign of life. I opened the set and went straight to the primary side of the power supply side looking for any broken component and all looked good. I checked the state of the main fuse and it was found open but not darkened inside. 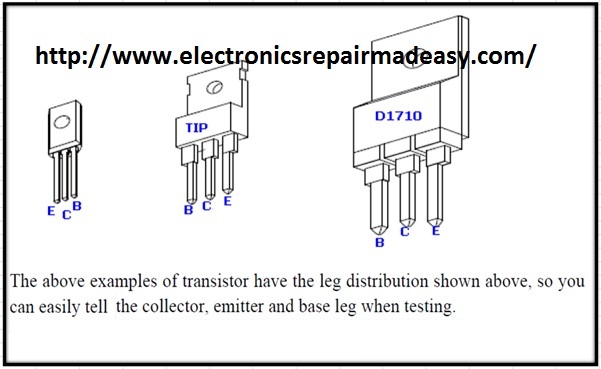 Usually when you find the main fuse is broken it is important to check if the switching transistor is shorted (or the control I.C) You can easily do this by testing across the middle leg (collector) and emitter while still in circuit. After doing this test with my digital meter set to diode ranger I got a beep, to confirm if it is indeed shorted I cut the middle leg with a side cutter to dis connect it from the circuit. This is faster than soldering the whole transistor out in order to test it out of circuit/ by cutting the middle leg is same as soldering out the whole transistor out of the circuit. With the middle leg out of the circuit, re-tested again and still got a beep and with this I confirmed the switching transistor was shorted. The transistor part number was C6091 and being not common in my market I replaced it with D1710C, from my experience this is like universal replacement transistor for all switching transistors so whenever I find the power supply is using any funny switching transistor is usually replace it with D1710C without thinking and it has always worked, I therefore keep several pieces of these at any given time. I continued testing related components with this transistor and the nearest related component as you can the figure below is the driver transistor C3807. 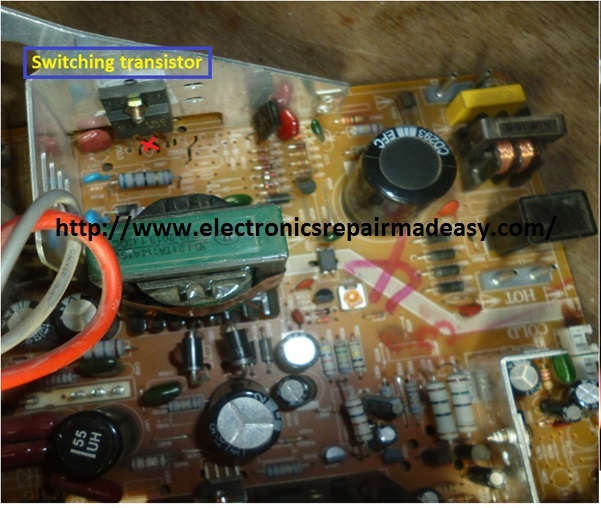 Again I tested it between the middle (collector) leg of C3807 and the emitter and again got a beep and this again confirmed to me that this transistor also is shorted and need replacement. After replacement this I continued checked for any other fault component and could not get any. Thanks for your feedback my friend. Woow.. ! That was a good fix.. esp with the use of D1710c. ..
Congs .and thanks for the tip.. Thank Sir for your good and useful repair article. It's so refreshing to see someone actually repair these old TV's rather than just throwing them in the landfill. Unlike today's "modern technology", these old reliables were built to last a lifetime. Thanks for the great post! Thanks for your feedback friend. Thanks. Learned a lot from your tips. Keep it up. Great job troubleshooting the TV. Thanks and welcome my friend. Hey Humphrey,I really appreciate what you're doing, keep up the good job.....Now my Samsung CRT T.v has been having a problem lately (sometimes it turns on , sometimes it doesn't ),I opened it up and had a look at the circuit board. The switch is fine the fuse is okay , the two electrolytic capacitors are okay ....don't know where the problem is ......and where can I find you guy. Hi Rutto, you can contact me on my contact sheet on this blog for more info on this..
Wow Sir job will done.